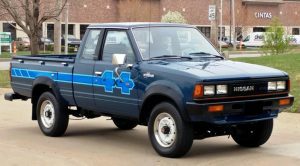 This one rolled across the block before we even arrived, so we had to assess it quickly as it was being hustled off to its new owner. 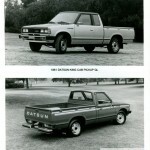 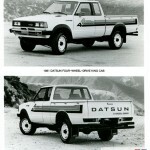 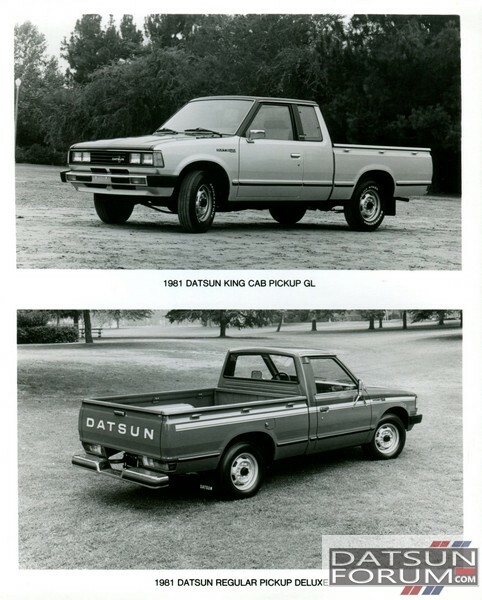 Lot #49 was a 1983 Datsun 720 King Cab Pickup. 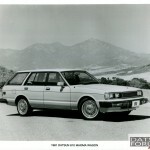 What’s not to love about this historical workhorse? 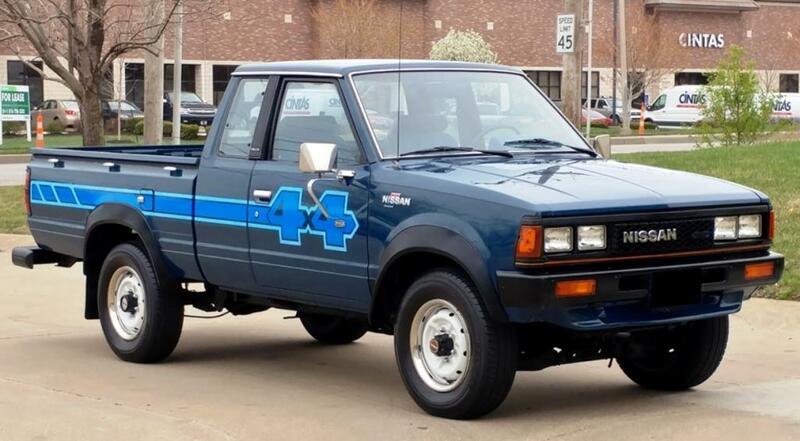 A dry southwestern truck that’s been garaged, with factory-original stickers and very little of the wear that plagued these trucks – they were used and abused, generally, so to see a survivor wearing its original wheels and exterior goodies is simply a trip back in time. 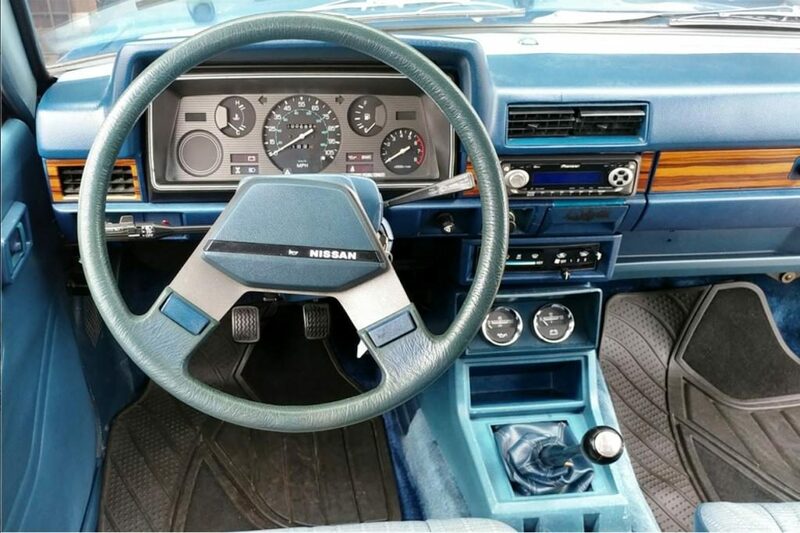 Minimal interior wear and some fading is to be expected – This truck appeared a great candidate for a light refreshing, or just to drive and enjoy. We think the seller and buyer did real well on this one, since it crossed the auction block at $9,900.00. 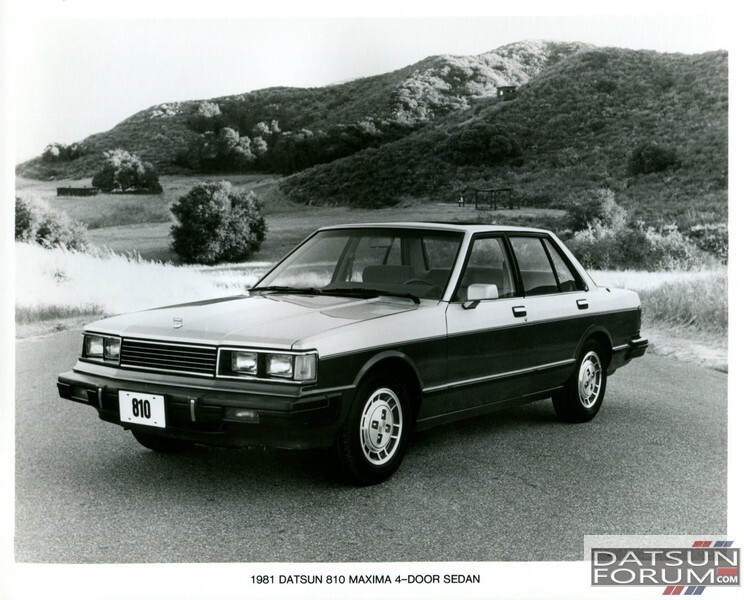 Straight from the DatsunForum.com memorabilia collection, here’s a neat piece for those of you with a 1981-vintage Datsun! 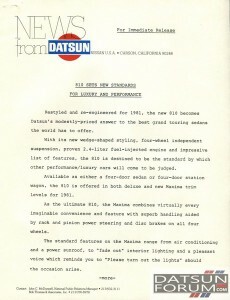 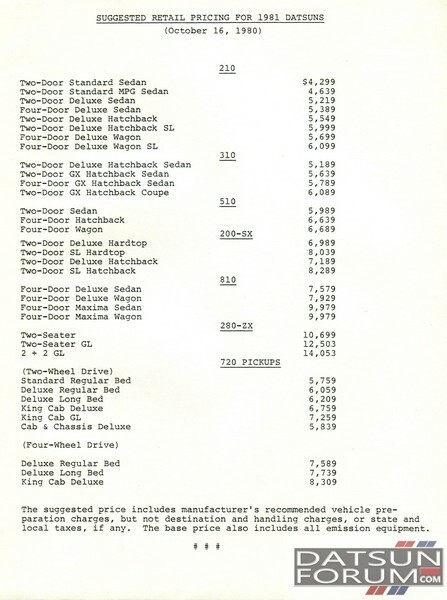 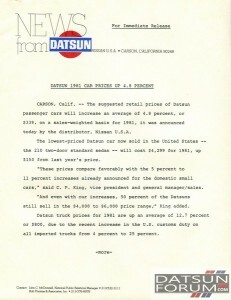 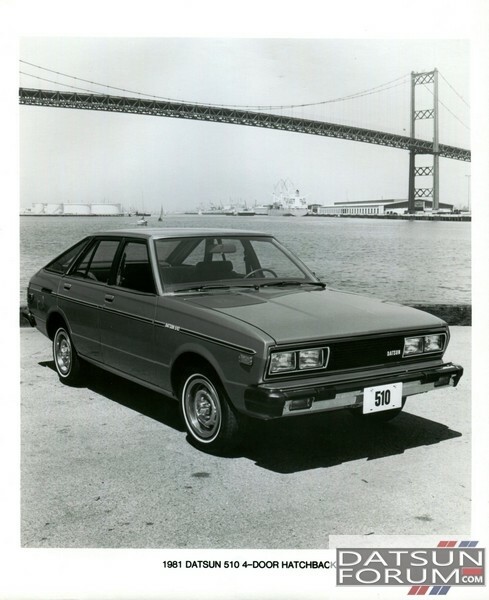 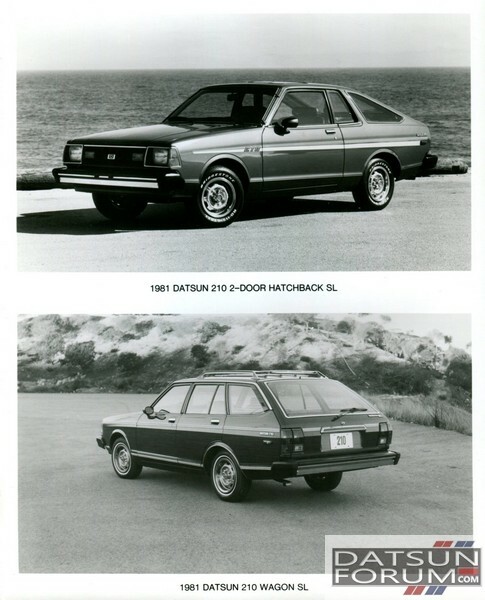 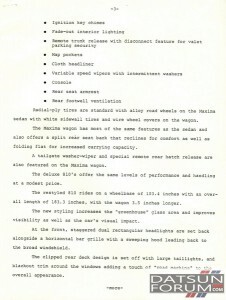 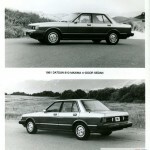 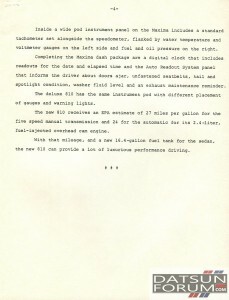 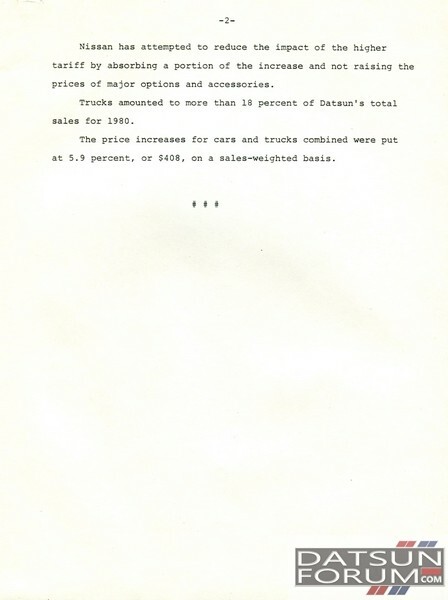 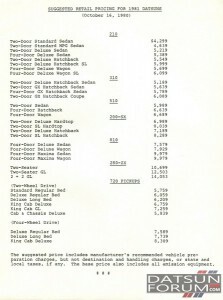 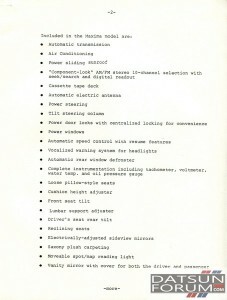 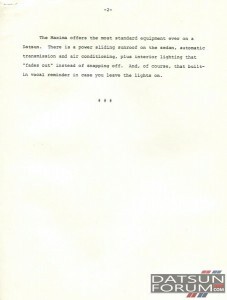 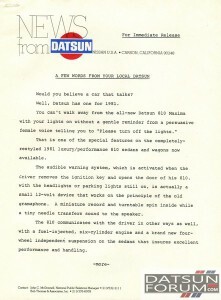 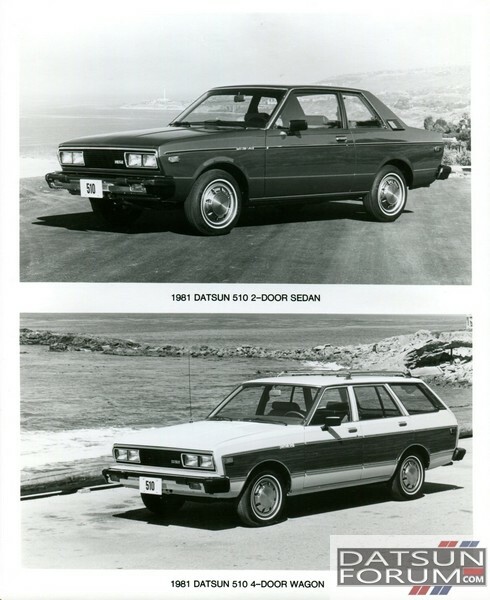 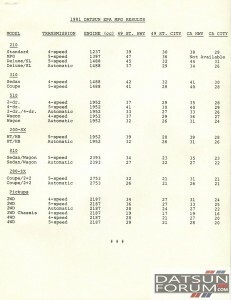 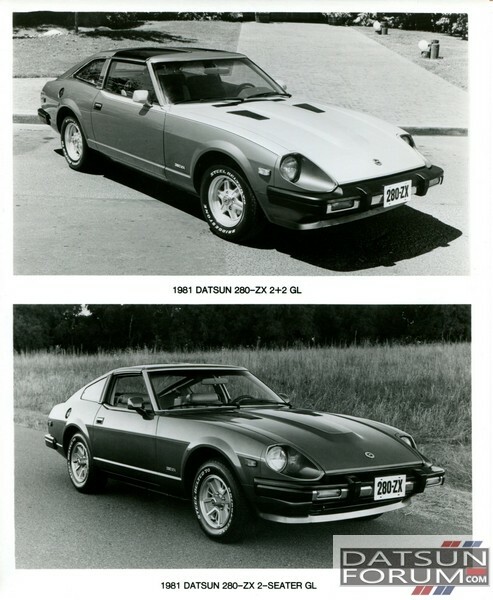 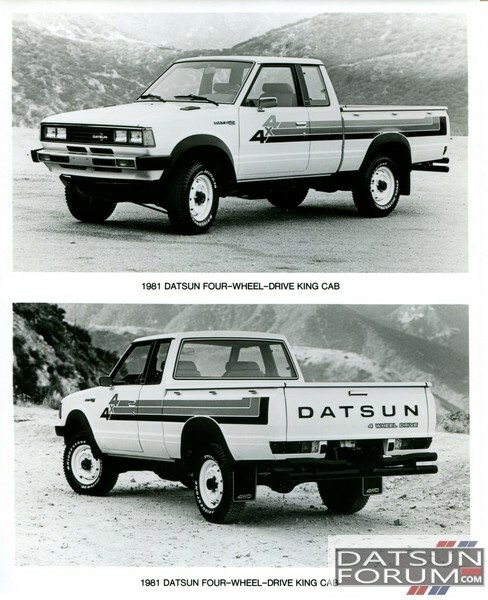 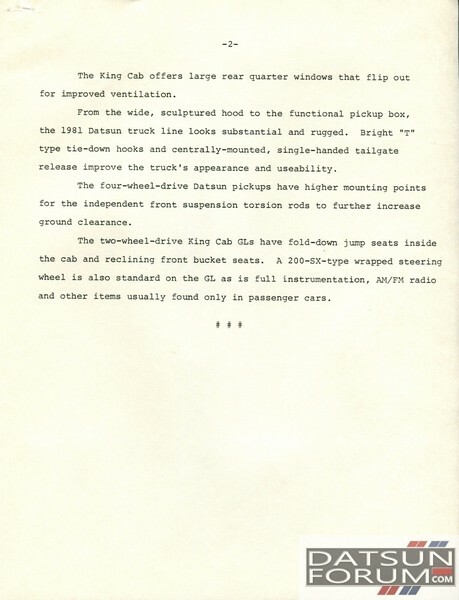 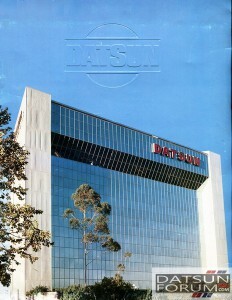 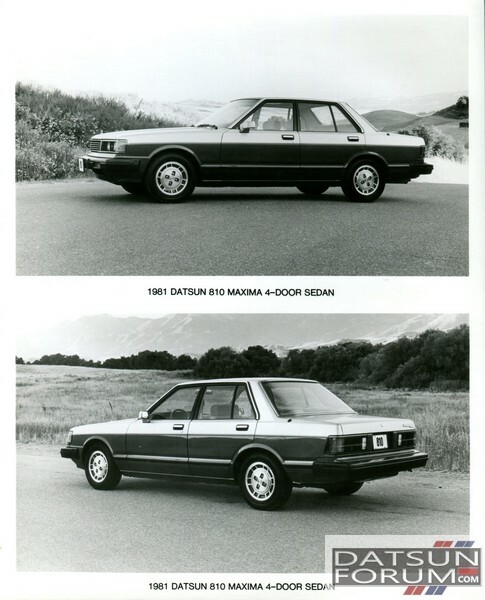 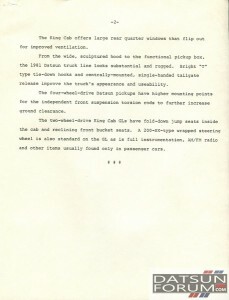 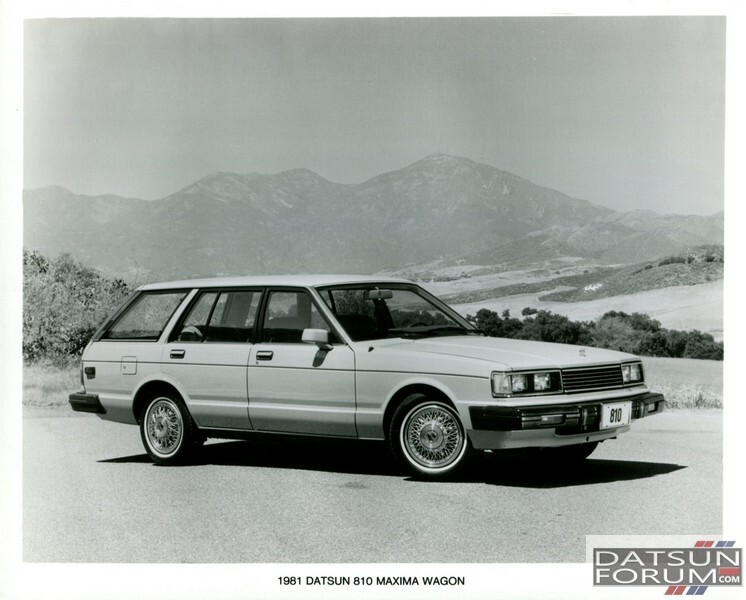 This dealership press packet, in a glossy 9×12 folder, was distributed to Datsun dealers in late 1980 to introduce the 1981 Datsun model lineup, as well as to acquaint dealer personnel (and the local press) with specifications and updates for the coming model year. The photos are official 8×10 glossy prints that the dealers could use when running ads in the local newspapers or magazines, and the attached articles served as press releases to be provided to automotive journalists. 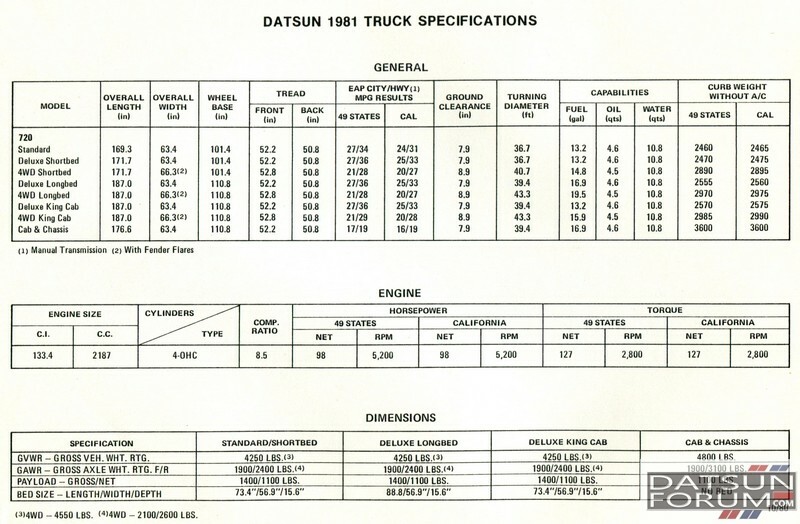 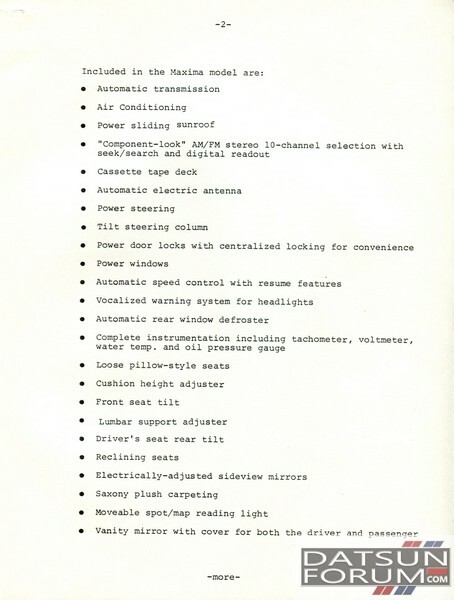 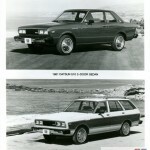 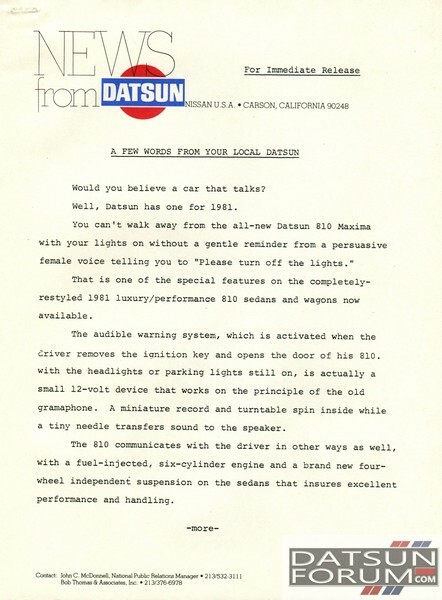 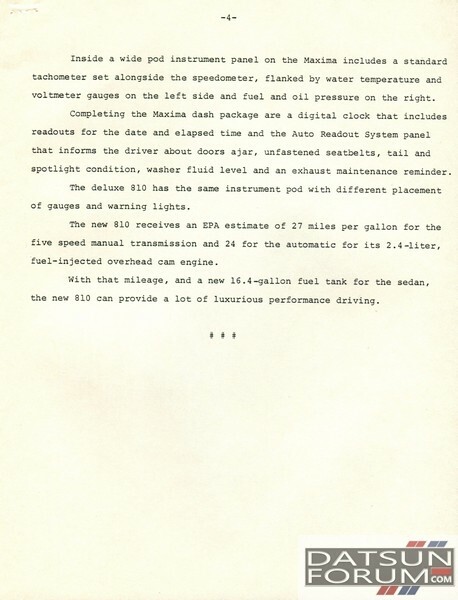 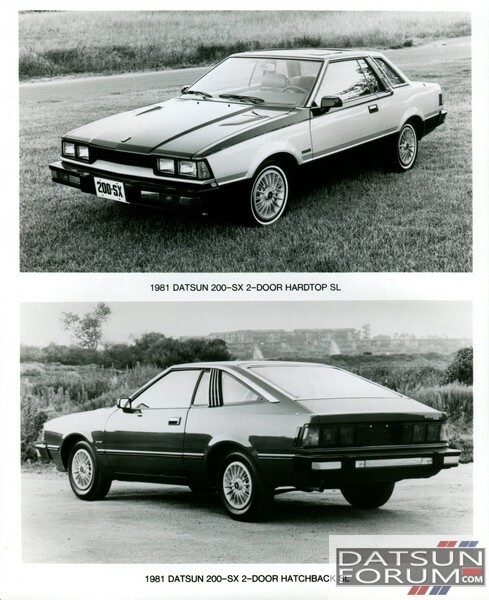 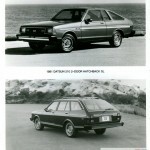 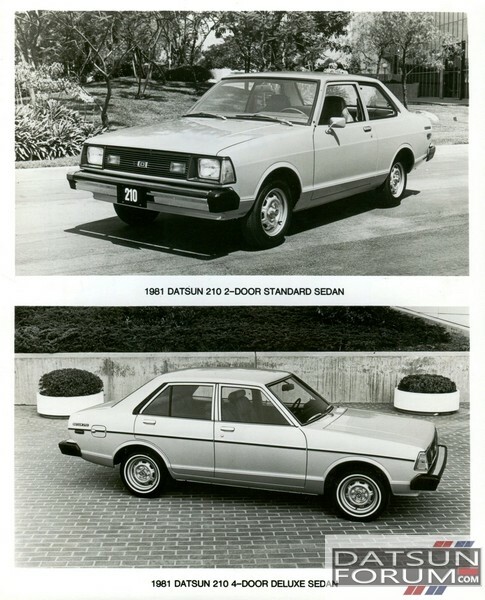 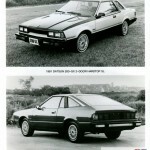 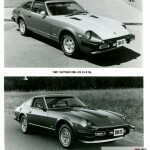 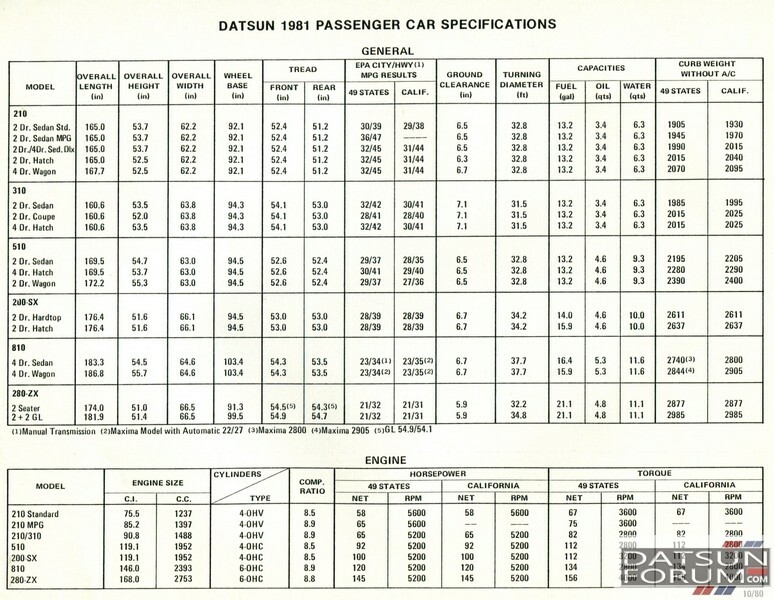 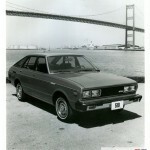 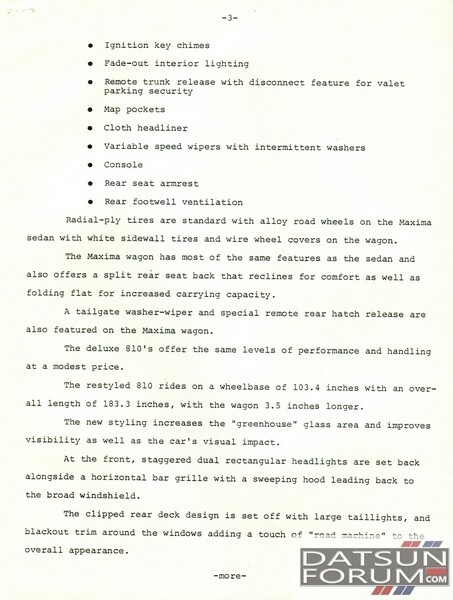 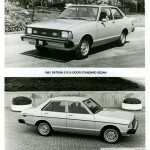 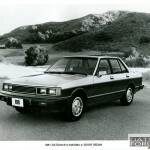 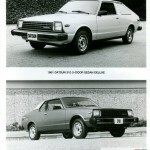 Also included was information on retail pricing and specifications for the entire 1981 Datsun model lineup, as well as info on the NAPS-Z engine and the “talking” Datsun 810! 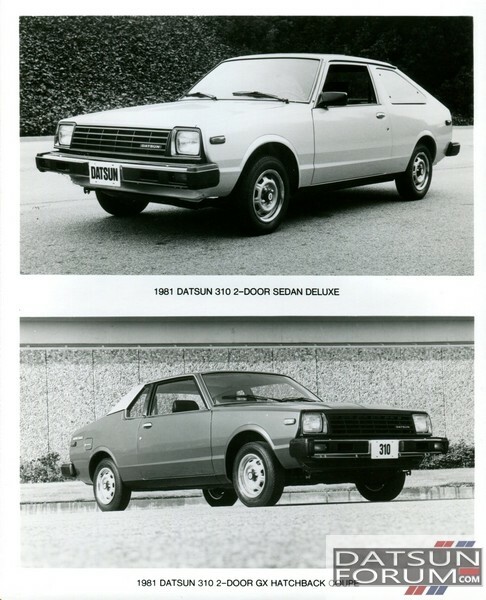 I hope you guys enjoy these scans of this rare piece of Datsun memorabilia.